The Archbishop Lanfranc Academy is a coeducational secondary school. FFE Consulting designed and delivered the fixed and loose FF&E for the new building and nursery block this summer. 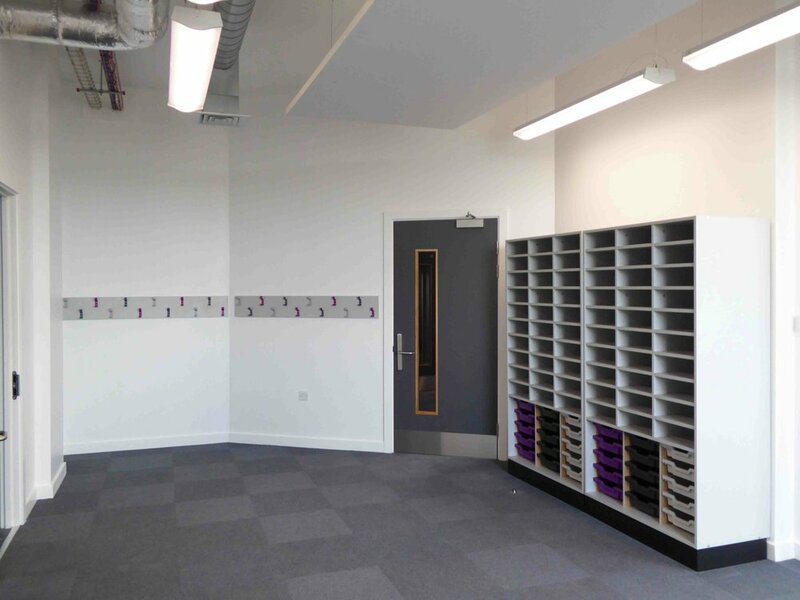 FFE Consulting carried out the initial design with the academy, architects, contractor and consultants, with a vision to bring the school into the 21st Century. With the old building to be demolished, the new construction has made way for four new floors; including a modern state of the art Sports Hall, Fitness Suite, Dance Studio and 6th Form Centre. For the fixed furniture, FFE Consulting produced detailed production drawings which were transmitted back to our factory and enabled close monitoring of both the production and installation of this element during the project. 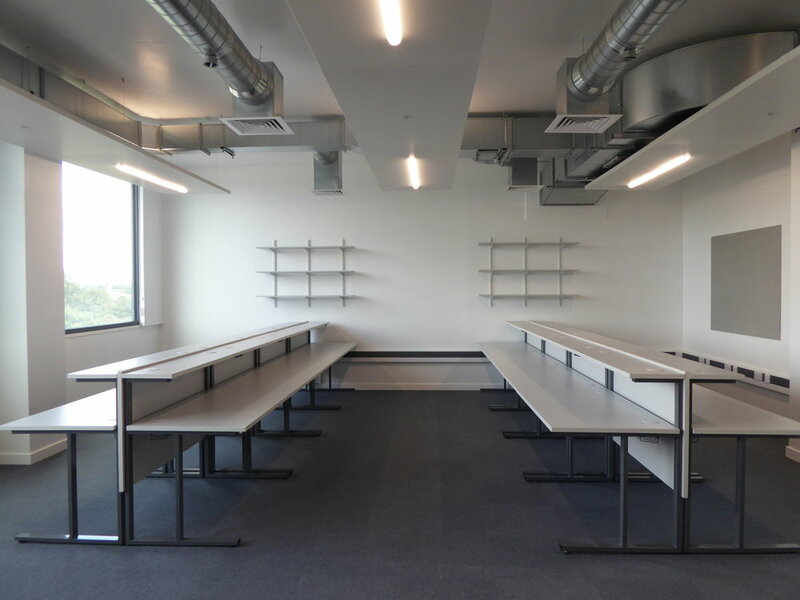 The bespoke worktops, fitted units and science banana benching were designed to give practical usage for the school and meet the specific needs of each department. FFE Consulting also carried out the decant of legacy furniture from the existing school as well as coordinating and distributing deliveries of new furniture. This met the Academy's requirement of retaining some original furniture whilst welcoming new additions to compliment the contemporary new build. Specification, procurement and delivery of FF&E fixed and loose furniture, DT legacy machinery assessment, decant and distribution.